DealDash has a great search tool and something called Alert Me. If you do not see an item coming up for auction that you are particularly looking for, you don’t have to miss out on that auction. Simply type the item in the search field and click on Search Auctions. If you see the item you are looking for starting soon or if there is an Alert Me on it, simply click on Alert Me. 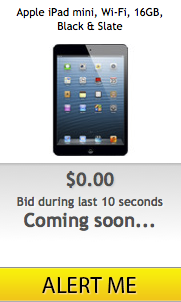 Once you set an alert, you will get an email notice of the exact date and time the item is going up for auction to inform you it is starting soon. You can then mark it on your calendar and be prepared to sign in and start bidding! It took me a while to learn everything so I recommend taking your time and practicing some of these tips to get what you want on DealDash. Just watching is even helpful. See what others are doing, how they are bidding, and how they are winning auctions. Do research on Bid Buddy and let it be your friend. Use it wisely and to your advantage. You will NOT win every auction so don’t get discouraged or disappointed. Took me quite a few auctions before I won my first one. The first item I ever won was this $50.00 Sunoco Gas Card! Including the cost of my bids I paid right around $30.00! So $20.00 of free gas never hurt anyone when you look at the prices at the pump these days! I have won a Norelco Electric Razor, Keurig Coffee Maker and many Keurig flavors of coffee to use with it. I have also won other various items and I’m still bidding for more! So go to DealDash.com and join the rest of us in a great time of bidding. With a little effort and research you too will be winning items you need and want and hopefully getting a lot of good deals along the way. I also welcome you to follow my DealDashNews Blog. I am seeking lots of active readers and I welcome you comment and share your input with me and other followers! This Blog is here for you! It is there for all members, both new and old timers. See you on DealDash and my blog DealDashNews very soon! This entry was posted in Bidding Tips, Home on September 30, 2013 by . I have been enjoying and participating in auctions on DealDash to obtain merchandise and gift cards for (hopefully) “Black Friday” prices for 13 months. I love the promotions … and … truly appreciate the quality merchandise, always fast FREE shipping, and the Support Team is responsive and there when you need them! I am retired and have most of the “things and stuff” I need. Holiday shopping is here so there is that excitement to look forward to, but what about the rest of the year? For me, the excitement and passion lasts all year long. That is because my passion is animal rescue and DealDash helps with this. I am a volunteer Foster Mom for kitties and dogs for my county animal shelter. When I foster these babies, their medical needs are taken care of by the shelter veterinarian. However, the food, litter, treats, cages, carriers, toys and such, are entirely at my own expense. It isn’t cheap to be a Foster Mom but it is satisfying and I love every moment of it. I am also a member of a volunteer transport group for adopted animals being transported to other cities and states. My last long transport was 732 miles. The gas gift cards I get on DealDash help with my animal rescue effort because we all pay for our own gasoline. Here’s one example of my savings on a gas gift card. I saved $129.05 including the cost of my bids for this ExxonMobile gift card I won on DealDash.com. 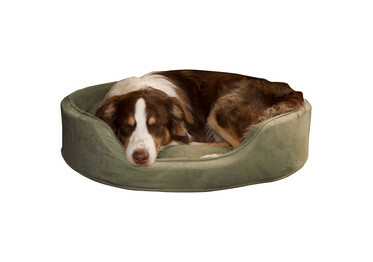 Because of DealDash I can now better afford the things I need to provide care for the animals. Recently, I won a $500 Amazon Gift card for having the DealDash “Best Photo of the Week”. As usual, I am using most of the money on the card for the animals. I received my first order today of kitty litter, four cases of canned dry Royal Canin baby kitten food, several pet toys, kitten vitamins, NutriCal, L-Lysine, and nursing bottles. There is still plenty of money left for more food, litter, supplements, and perhaps a couple of soft-sided pet playpens… now that’s exciting!!! Recently, I also won two exceptionally nice pet beds on DealDash.com and I used the Buy it Now option (BIN) on a large cage that is housing a fostered quarantine mother cat and her three brand new babies! DealDash’s BIN option is great because if you don’t win the auction you were bidding on, you can just buy the same item at regular retail price and get back all the bids you used in the auction for free. Read about My First Year DealDash Review. I have been shopping on DealDash for over a year and remain a loyal customer. This entry was posted in Home on September 27, 2013 by . Hello all my DealDash friends. My name is Gus but many of you may have seen me bidding on DealDash with the Username of naskippy. I have a new blog that I created in August 2013 simply called DealDashNews which is in support of DealDash.com and the wonders of deals they provide. Yes, I have seen the bashing websites and YouTube posting. But I have also found that most posting this bashing and negative information about DealDash came from new members that signed up and did not know what they were doing or what they were talking about. So I have some advice for new and existing members I would love to share with you here in this DealDash Reviewed blog. There are also some tricks and wise tips I share on my personal blog DealDashNews. Here are some excellent DealDash bidding tips. 1. Research: Do not get on DealDash, buy your bids and waist them because you failed to do your homework and therefore go into an auction blindly not knowing what you are doing. There are excellent blogs posted here, on the DealDash Official Blog that will help you along my blog DealDashNews. Do yourself a favor and research by reading blogs and watching helpful videos from the DealDash website, and on YouTube. 2. Search and watch for items that you want or need. Do not waist your bids on things you have no use for just for the sake of bidding. 3. 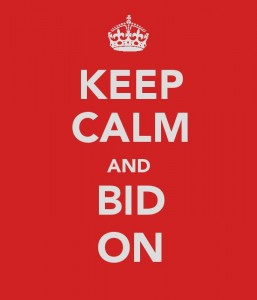 Make yourself a budget so you do not overbid or waist bids on an item. Remember that DealDash will most likely have that same item up for auction again soon. 4. Be prepared to Buy it Now: If you don’t win the auction, buy the item you were bidding on, and going to by anyway at a retail store, so you get your bids back to be used on another item in the future. These are some quick helpful hints for you. But there are many more good ones. I have lots more details on my blog and I am sure there are other blogs and videos that will give some more detailed advise as well. Do your homework! This entry was posted in Bidding Tips, Home on September 26, 2013 by . Some time ago I was looking into “Penny Auctions“. I found 6 or 7 and tried each of them. I found that 4 out of the 7 were definite penny auction scams in my opinion. I eliminated them. Of the 3 left, I eliminated 2 that were in my opinion, if not scams, then poorly run businesses. Either way I deleted them from my penny auction review. I don’t like doing business when I feel it is underhanded in some way. I was left with DealDash. This is a company I can have confidence in. Don’t misunderstand, they are a “For Profit” organization. They retail as retailers will, with a penchant for profit. In my opinion however, DealDash is a legitimate business doing business in a professional manner. DealDash is not a scam. Win an auction on DealDash and you will receive your win in a very timely manner. Don’t win, and you have the “Buy it now option” which is a very fair option with very fair prices to buy the item and get your bids back free to try again. Unless there are bids attached at 60 cents each to the auction item I won, I will use the Buy it Now. Hey we all know they aren’t really 60 cents. Generally this buy it now option works in favor of the buyer. In other auction sites, if they have a Buy it Now option there are ALWAYS high priced bids attached to the auction. DealDash attaches extra bids to some auctions, not all, so there’s something for everybody. Let me mention their customer service. The fact that it exists at all is amazing. The fact that the customer service is excellent is triple amazing! All in all, I enjoy the site, and the idea of bidding with an obviously very well run company. No other penny auction site on my list. This entry was posted in Home on September 25, 2013 by . I joined DealDash in September 2012. A friend told me about another penny auction site that I tried for a bit, but did not like, so I used the internet to check out some others. I tried a few of them briefly, but was never impressed. Then, I saw and tried DealDash and truly liked it from the start. I read all the instructions, reviews, and watched some auctions before I tried it. After playing for a while, I discovered that if I had a question or a problem, the Support Team was always there … that REALLY impressed me! I started with small inexpensive items and did pretty well. As I graduated to larger auctions, I was successful and began the quest to try to do all my 2012 Christmas shopping on DealDash. I finished all of my shopping before Thanksgiving!!! Most of the gifts were impressive and on the expensive side. I purchased everything for pennies on the dollar with free shipping. After shopping for everyone else, and with several large Amazon cards I won, I was able to purchase a quality bicycle for my husband and a cool tricycle for myself. I also won 2 Nikon cameras, 2 laptops, a Samsung cell phone, 2 Samsung tablets, 3 Dr. Dr headphones, a 45” HDTV, a sewing machine, a pressure cleaner, kitchen appliances, linens, toys, and gift cards galore!!! I now have all the electronics and gadgets I need. 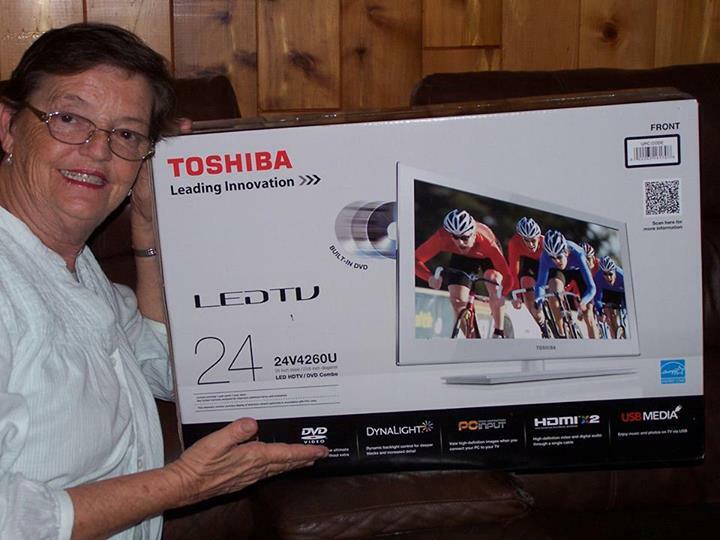 And just recently I won the “Best Photo of the Week” prize from DealDash and chose to receive a $500 Amazon Gift Card. In addition, I received 200 free bids for the initial posting of the photo on the DealDash Facebook page!!!! Summary: I used 540 bids at 15 cents each, received 200 bids back for posting the photo, won the $500 gift card, and paid $23.48 for the win … that is a net profit of $698 !!! I volunteer with a local animal rescue operation, and so I’m always looking after animals that need a little extra help. That card will buy a LOT of vitamins, supplements, supplies, food, and litter for these abandoned, abused, and neglected babies. PS: I have a little hint for folks who might like to know for sure when a UPS package is being delivered. Sign up for UPS My Choice. You will know exactly when a package is being delivered and then sent a message after it is put on your front porch! You can even have them hold a package or re-route a package. This entry was posted in Home on September 19, 2013 by .